How important is it to teach our language learners how to listen? Our focus as teachers is often on getting our learners to speak, but of course that’s only one side of getting our learners to communicate. Studies show us that adults spend 70-80% of the time we’re awake communicating in some way, and of that time, 45% is spent listening (as compared to 30% speaking, 16% reading, and 9% writing). Helping our language learners to become good listeners is clearly hugely important if we want to be sure they are good communicators. But how effectively do we really teach our learners how to listen in a typical ‘receptive skills’ class? In his plenary talk ‘Opening Pandora’s box: Listening and the Language Teacher’ at the 2018 IH Barcelona ELT Conference, John Field helped delegates take a closer look at the way EFL teachers are often trained to teach listening, and questioned whether we are really ‘teaching’ (as opposed to just ‘testing’) their listening skills. If all we do is find out whether or not our learners get the right answers to comprehension questions, what are we doing to significantly improve their listening skills? 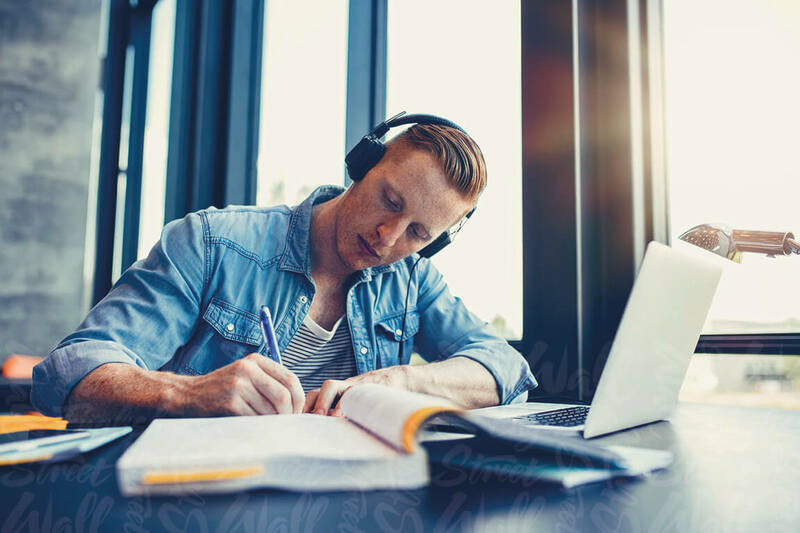 As both a teacher and instructional designer, I found it interesting to think about how Field’s ideas could be relevant not only to teaching listening in the classroom, but also to designing self-study listening activities in a blended learning programme. Field’s ideas can help us to prepare our learners for the kinds of situations they are likely to find themselves in, and help students to develop skills which they will be able to use outside of the classroom. ► Pre-listening activity. Usually this involves some kind of discussion around the topic of the listening, in order to ‘activate schemata’ (in other words, get learners thinking about their existing knowledge about a topic). It also often involves pre-teaching some key vocabulary. ► Set some questions for the learners to answer when listening, so they can listen out for the answers while they listen for the first time. ► Play the audio to the learners. ► Check the learners’ responses to the questions. ► Play the audio again, perhaps getting them to listen for detail by answering some more specific questions. ► Focus on the functional language, perhaps listening with the transcript. Field began his conference talk by questioning how useful or necessary the activities EFL teachers tend to get learners to do before they start listening really are. While there are good reasons for using ‘pre-listening’ activities in terms of preparing and motivating our learners to listen, they do little to effectively prepare them for most real-life situations. When we have a spontaneous conversation with someone, or answer the telephone, or watch a film, we usually have to employ our knowledge about the topic when we are listening, rather than before. Having a classroom discussion each time around the topic of the listening before students listen doesn’t give them authentic practice for the types of situations they’ll experience outside of the classroom. For similar reasons, Field suggests we consider skipping setting questions before students listen. As with pre-teaching vocabulary, pre-setting questions not only does little to prepare our learners for real-life listening situations, but also changes the way they listen, as again students tend to only listen out for the answers for those questions, rather than trying to get a general understanding of what’s been said. So how can we ‘teach’ our learners to listen? Teachers accustomed to carefully scaffolding their learners’ listening might feel like they are dropping their learners in at the deep end by skipping the pre-listening activities. Field doesn’t suggest we give learners absolutely no help before they listen – it is helpful to let learners know who is talking, where they are, etc. After all, this is information which learners are likely to have when listening outside of the classroom. And we should be aware of the level of our learners, and not overwhelm them with audios that are far above their level. But once learners have some context, skipping some of the classic pre-listening activities could give our learners much more authentic listening practice by encouraging them to listen for general meaning. To help learners with perceptual (sound to word) problems, replaying short clips of the trickier utterances can often help. Providing learners with the transcript on subsequent listenings can also be useful. Specific training on, for example, listening for elision can also help learners to recognise words and phrases. Just because a learner may ‘know’ a word or grammar structure in isolation, we shouldn’t assume that they’ll be able to recognise it in connected speech. For conceptual (underlying meaning) problems, Field pointed us to research that shows that learners who are intermediate (CEFR B1) level or below find it difficult to process underlying arguments, partly because a lot of their attention is used up with perceptual understanding. Open-ended (as opposed to multiple choice or true/false questions, which learners can often guess the correct answer to) can often be helpful for learners to uncover conceptual meaning. If our goal is for learners to become competent listeners and communicators in real-life situations outside of the classroom, then Field’s ideas are clearly worth careful consideration. Training students to listen gives them a ‘transferable skill’ they can use outside of the classroom, which helps to develop learner autonomy. Video could give learners enough context to be able to dispense altogether with pre-listening ‘context setting’ activities. Try getting learners to watch straight away, without a pre-listening discussion, pre-teaching vocabulary, or giving learners a list of questions before they listen. Give questions for learners to answer only after they have listened, and consider whether wrong answers are likely to be perceptual issues (students don’t recognise the sound of the words) or conceptual issues (students haven’t followed the argument). Show remediation activities that related to low scores for specific questions. Although video is more effective than audio (as less context needs to be pre-set), it doesn’t give a totally ‘authentic’ experience, as in a real conversation learners would be able to interact with the speaker. Provide opportunities for learners to interact orally in a digital language learning environment, as this will give them valuable practice not only for developing their speaking, but also their listening skills. Field, J. (2008) Listening in the Language Classroom. Cambridge, Cambridge University Press. Field, J. (2018) ‘Opening Pandora’s Box: Listening and the Language Teacher.’ Presented at: IH Barcelona ELT Conference. February 9-10, 2018.